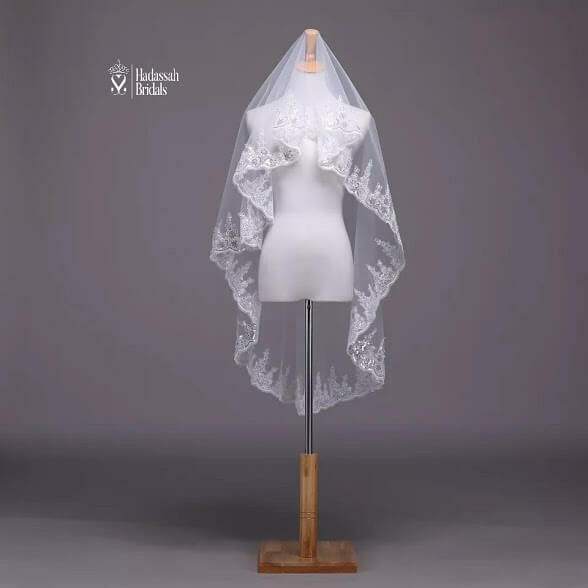 Short bridal veils available for sale in Lagos. Add elegance to your wedding gown with this lace edge bridal veil. Suite 42, Mota Shopping Complex, Opposite Harmony Estate Gate, Ilawe Street, Ifako Gbagada, Lagos.